Devoted husband, father, and friend Jack passed away peacefully at home on January 5th with his family at his side. 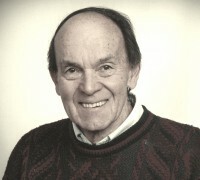 With his engineering and finance background Jack enjoyed a long career at Tektronix, and loved to tinker with everything from computers to cars. Jack’s passion in life was the mountain. He scaled Mt. 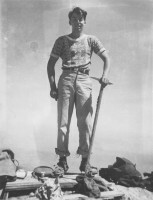 Hood at age 16, joined the Mazamas in 1944, and climbed many other peaks of the Cascades. 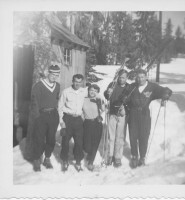 He had a life-long love of skiing from an early age, and in the 1950s built a cabin in Government Camp, which stands today as his pride and joy. 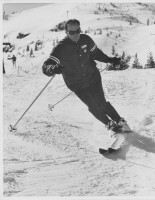 He helped many ski enthusiasts become instructors as the Technical Director of the Ski Bowl Ski School and furthered many careers as the President (1974-75), Certification Vice President (1969-74), Financial Vice President (1965-69) and a member of the board from 1965-75 of the (then) Pacific Northwest Ski Instructors Association. He was also an examiner for the organization for many years, gaining his “full cert” (now known as Level III) in 1963. In 1994 he was granted Lifetime Membership to the organization for his many years of service. In addition to all these accolades and impacts, the one most significant was passing on the love for the sport and teaching skiing to his daughter Lynn, who received her “full cert” in 1976 and has been a member of PSIA-NW for over 40 years. After retiring from teaching, Jack continued serving, this time as a member of the Mt. Hood Ski Patrol. As a life-long member of the Schnee Vogeli Ski Club, Jack shared his passion for skiing at Mt. Hood, and at resorts such as Sun Valley, with many close friends. Jack is survived by his wife Mary, daughter Lynn (son-in-law Tod), brother Don (wife Shirley) and step-daughters Adonica (husband Tim) and Carinda, and family grandchildren Fallon and Gage, all in the Portland region. He was preceded in death by his first wife Joan. A celebration of his life will take place on Wednesday, January 28 at 4 pm at Westminster Presbyterian Church (1624 NE Hancock, Portland). A mountain gathering will take place on Saturday evening, April 11 at the Mt. Hood Cultural Center and Museum in Government Camp. Memorial contributions can be made to the Mazamas, Jack Weigand Memorial Fund at www.mazamas.org or the National Disabled Veterans Winter Sports Clinic through teresa.parks@va.gov or www.wintersportsclinic.org.